AOG is an exporting consortium (National Law 26.005). It was because of the need of the global market. It is dedicated to satisfy the most demanding national and international customers offering high quality Virgin Olive Oil . It is made up of six big olive oil producing companies and coordinated by Frankie Gobbee who has extensive experience in the Olive Oil World Market. 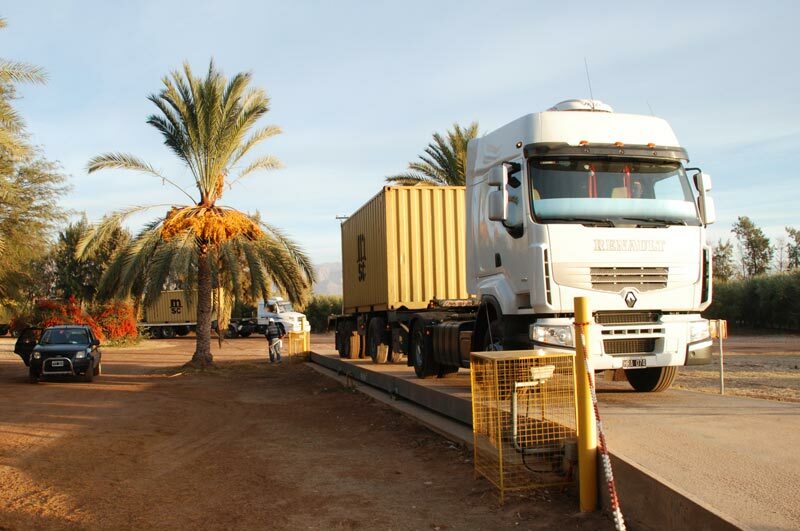 The group specializes in the production and exporting of Internationally Certified EVOO. The ICBC Foundation, together with the AAICI (Agencia Argentina de Inversiones y Comercio Internacional) gathered in Export AOG an outstanding group of companies known for their long SME agro-export experience, resulting in a world wide project that offers big volumes and high quality oil. The group has an ample and well cared variety of olive oil. Our companies count with great mechanization systems, both for the harvest and the production. 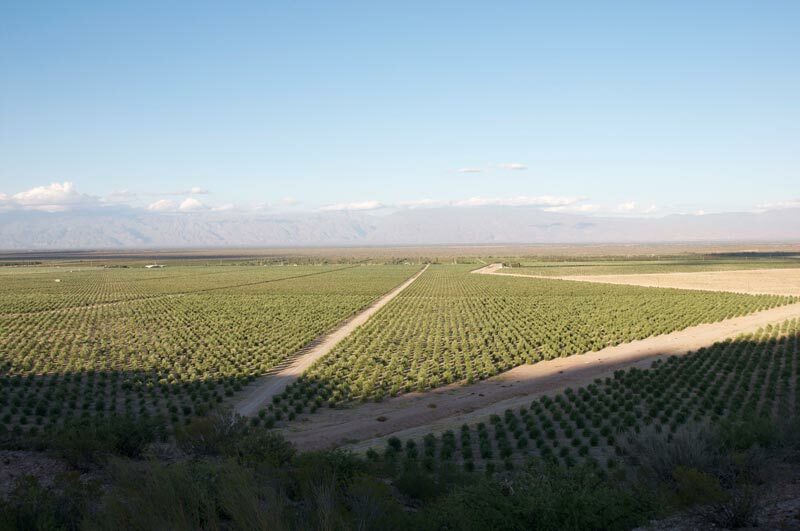 Our plantations are irrigated with mountain water from the Andes Range. There is a rigorous selection of the raw materials used to elaborate our products, and these undergo strict quality controls daily. 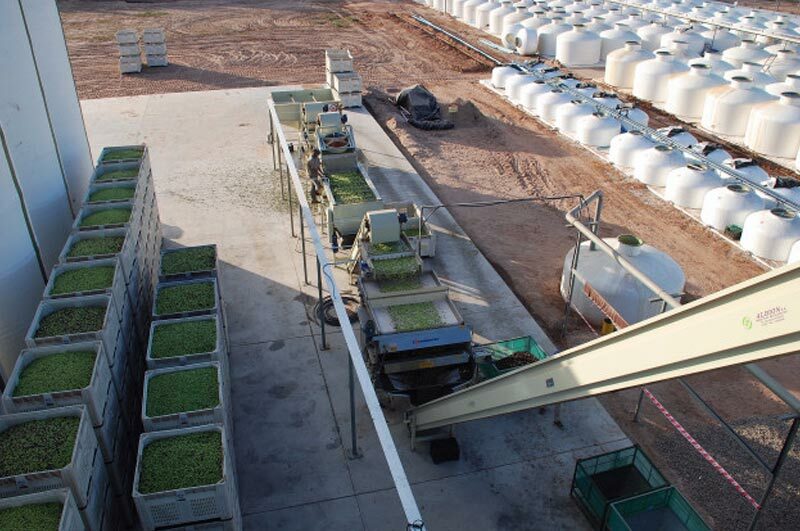 Each producer has its own industrial plant with state-of-the-art technology which allows them to process the olives in less than 24 hs, therefore obtaining greater volumes of EVOO with acidity below 0,5%. AOG has more than 7000 hectares of producing olive oil plantations. This makes our group the largest in extension in Latin America. We count with six state-of-the-art producing plants located by the plantations. This allows us to obtain the international quality our clients need. Virgin soil, free of pollution, and policies that are concerned with the protection of the environment, makes our production sustainable and of excellent quality. With more then 50 million dollars in investments, this group involves all the steps in the production process: elaboration, bottling, exporting and distribution of EVOO and related products. We used mother plants with certified DNA from the best varieties in Italy, Spain, Israel, Greece and other countries to clone plants for our plantations, therefore achieving homogeneity and high quality in all of our harvests, present and future. This way, we become a stable and reliable provider. We know that water is a scarce natural resource in the old world. That’s why we have placed our plantations more than 1000 mts over sea level. Low rainfall and wide temperature variations make this region one of the most adequate places to grow olives in the world. Israeli irrigation systems allow us to monitor and control the amount of water each plant receives through drip irrigation. We also have computerized sensors and intensive lots. Our group has six state-of-the-art plants with continuous two and three-phase systems. The processing of the oil in our plants follows the procedures and quality control regulations according to international standards like IOC (International Olive Oil Council). This allows us to obtain international quality EVOO, as regards the physical, chemical and organoleptic properties. The grinding takes place within 24 hours from its harvest, obtaining this way the lowest possible acidity and the best quality in our oil. 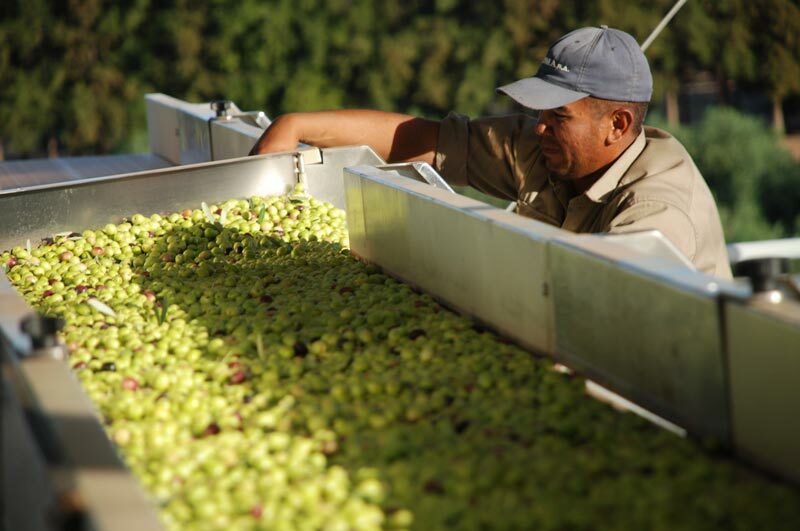 Our processing plants have a grinding capacity of 500,000 kilograms of olives per day, allowing us to get 75 tons of EVOO daily. At present we count with Kosher, Halal, HACCP and BPM certifications, among others. AOG counts with a department for private labeling development both for local and international markets.There are more than 10 olive varieties in our plantations (arbequina, picual, coratina, frantoio, lechino, mauri, changlot, arbosana, arroyo, etc). This enables us to offer our clients special and unique blends for every specific need. 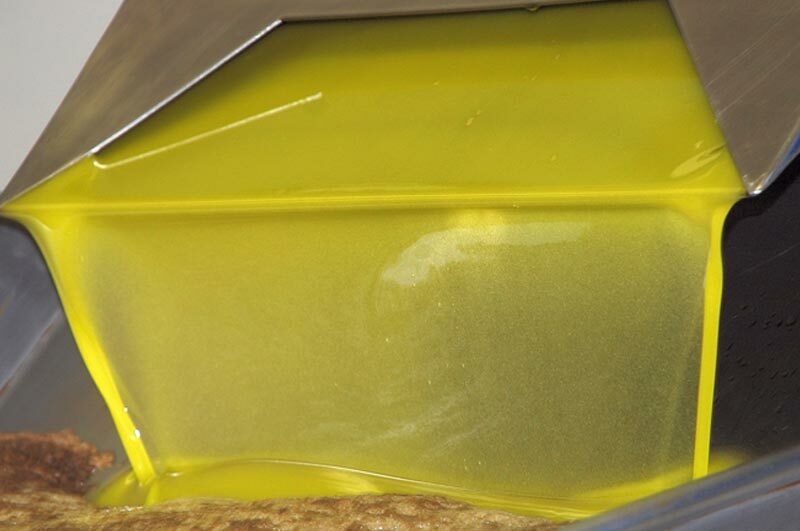 AOG is the largest exporting olive oil group in Argentina at present. Our consortium brings together the leading Olive Oil brands in the country to offer its international clients the commercial alternatives that best suit their needs and to ensure excellent business. By working as a group and articulating each member’s experience, AOG is able to adapt its products to its client’s needs, develop new products and lower freight costs. AOG also offers excellent quality-price ratio because it’s the leading company in Argentina as regards volume, exporting 5000 tons a year, bulk and bottled.